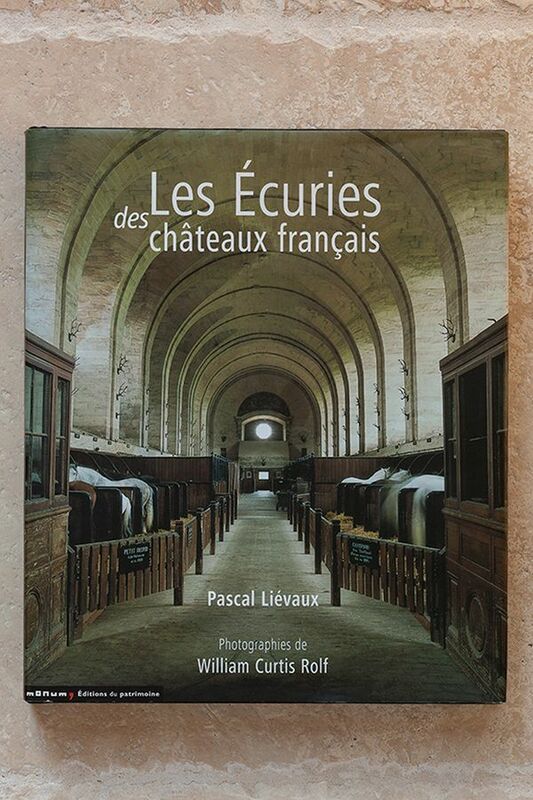 LES ECURIES DES CHATEAUX FRANCAIS, which translates to THE STABLES OF FRENCH CASTLES combines William Curtis Rolf's photographic images with PASCAL LIEVAUX'S highly-detailed yet accessible text. It is a great read for everyone interested in architectural as well as equestrian subjects. Pascal and William joined forces when the former was professor of architectural history at the University of Tours; he is currently Chef du département de la recherche et de la politique scientifique of the Ministry of Culture and Communication in Paris.